Infiniti and Subaru joined Lexus, Mercedes-Benz, Hyundai, Mitsubishi and BMW in pulling ads from Fox News' "The O'Reilly Factor" after new reporting emerged over the weekend about sexual harassment allegations involving host Bill O'Reilly. TrueCar and Carfax have also pulled marketing support from the show. The New York Times on Saturday reported that five women received payments totaling about $13 million from either O'Reilly or Fox News parent 21st Century Fox in exchange for not pursuing litigation about their accusations. "Infiniti has chosen to reallocate our resources to other time slots due to recent allegations," a spokesperson for Nissan Motor Co.'s luxury brand said. The growing defections show that the scrutiny of Fox News is beginning to have an impact on the business. Until now, the most-watched cable news network has shown little ill effect despite months of negative headlines from the scandal that erupted around Roger Ailes, the former president of the network, leading to his departure in July. Now allegations are coming to light against O’Reilly, showing that issues of harassment at Fox may not have been limited only to Ailes. "We had advertising running on 'The O'Reilly Factor' (we run on most major cable news shows) and it has been reassigned in the midst of this controversy," Donna Boland, a spokeswoman for Mercedes-Benz USA, said in a statement. "The allegations are disturbing and, given the importance of women in every aspect of our business, we don't feel this is a good environment in which to advertise our products right now." 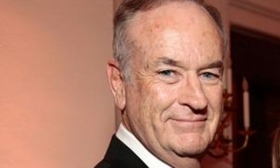 Hyundai in its statement said: "Hyundai currently has no advertising running on 'The O'Reilly Factor.' We had upcoming advertising spots on the show but are reallocating them due to the recent and disturbing allegations. As a company we seek to partner with companies and programming that share our values of inclusion and diversity. We will continue to monitor and evaluate the situation as we plan future advertising decisions." On Tuesday, BMW of North America issued a statement, saying: "In light of the recent New York Times investigation, BMW of North America has suspended its advertising with 'The O’Reilly Factor." BMW wasn’t among the top 50 advertisers on "The O’Reilly Factor," but Mercedes-Benz and Hyundai were regular spenders. Later Tuesday, Mitsubishi said in a statement: "Mitsubishi Motors takes these allegations very seriously and we have decided that we will pull our advertising at the present time. We will continue to monitor this situation as we assess our long-term strategy." CNN, a Fox News competitor, first reported that Mercedes-Benz was pulling its ads from the top-rated cable news show. CNN reported that it had "reached out to more than 20 companies and brands that have advertised on 'The O'Reilly Factor' to ask for a response to the Times' report, and whether they were reconsidering their affiliation with the program in light of it." Fox News said it’s redirecting the ad purchases of clients who wish to avoid O’Reilly’s show to other programs on the network. The Times report stated that the allegations against O'Reilly involved women who worked for him or had appeared on his show. "They have complained about a wide range of behavior, including verbal abuse, lewd comments, unwanted advances and phone calls in which it sounded as if O'Reilly was masturbating, according to documents and interviews," the Times reported. Lexus is moving away from the show as well. “We take our duties as a responsible advertiser seriously and have been closely monitoring the situation involving ‘The O’Reilly Factor.’ In response, we have asked our media-buying partners to move all Lexus ad inventory out of the program,” Lexus said in a statement late Tuesday. A Chevrolet spokeswoman confirmed in an email to Advertising Age, a sibling publication of Automotive News, that the auto brand "had a very limited advertising buy on Fox News in the first quarter of 2017" adding that "we have no immediate plans to advertise on Fox News on a national level." Asked if the national decision was related to the allegations, she said: "No, we regularly adjust our media buying based on our business needs and did not have anything planned beyond Q1 on Fox News." It is not surprising that three big auto brands have taken a public stance, considering car-buying patterns. Half of all car purchases are by women and roughly 80% of all car purchases are influenced by women, said Michelle Krebs, a senior analyst for AutoTrader. She also speculated that the quick action by auto brands could be related to the fact that women are "moving up the corporate ladder to decision making positions at auto companies but that isn't true across the board." BMW's U.S. marketing is led by a woman -- Trudy Hardy, VP-marketing at BMW North America. Fox has stood by O’Reilly, who has said he is a target for such allegations because of his prominence.